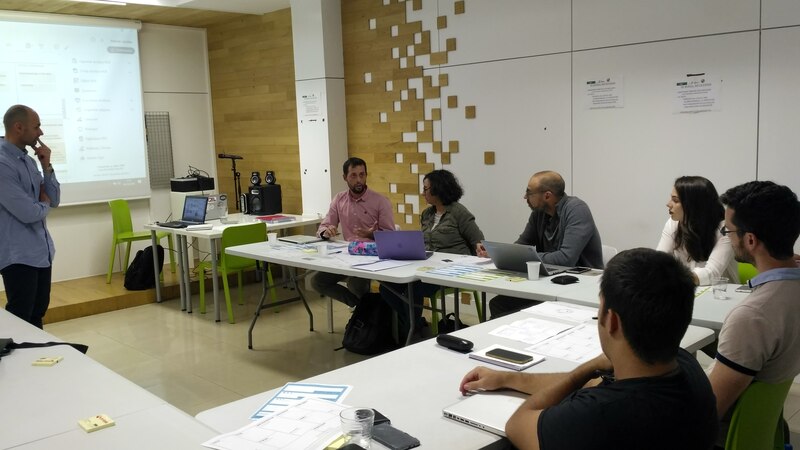 ProtoAtlantic Workshop 1: Business Model took place at Palet Express-Cajasiete, a collaborative coworking space run by Emerge Association in Las Palmas GC, Spain, on 30th October 2018. The audience consisted of a group of researchers and entrepreneurs who had previously applied, and been selected, to participate in ProtoAtlantic’s Acceleration Program. 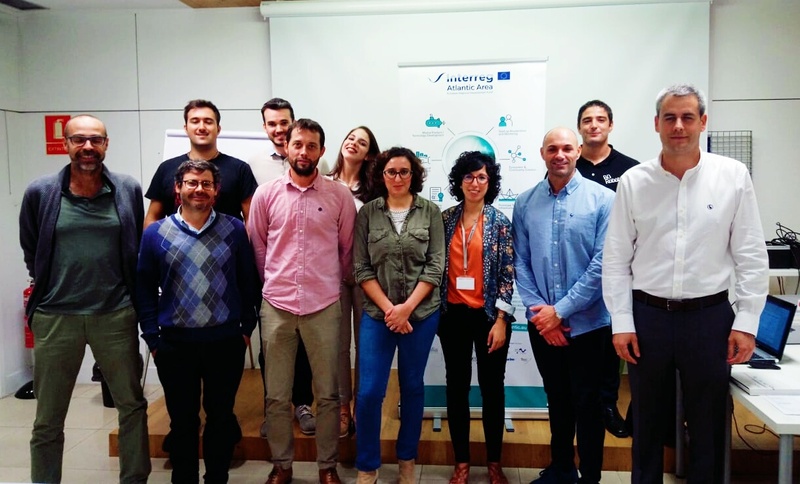 This workshop helped participants with innovative ideas in a seed stage or more consolidated start-ups to continue working on their business model of their ‘ideas/projects’ related to Marine Robotics, Biotechnology or Marine Renewables Energies. Presentations were made by Jorge Galván, from Innovalia Association, as ProtoAtlantic’s leading partner, and Dr. Miriam Rueda, Emerge Association, an association of start-ups that are responsible for the acceleration program. The workshop was delivered by the expert and entrepreneur Oscar Villanueva. In the morning, the session was dedicated to the main parts that compose of a Business Plan. This is the final document that every start-up/participant will need to send to the mentor assigned to them once the two phases of the Boot-Camp finish. 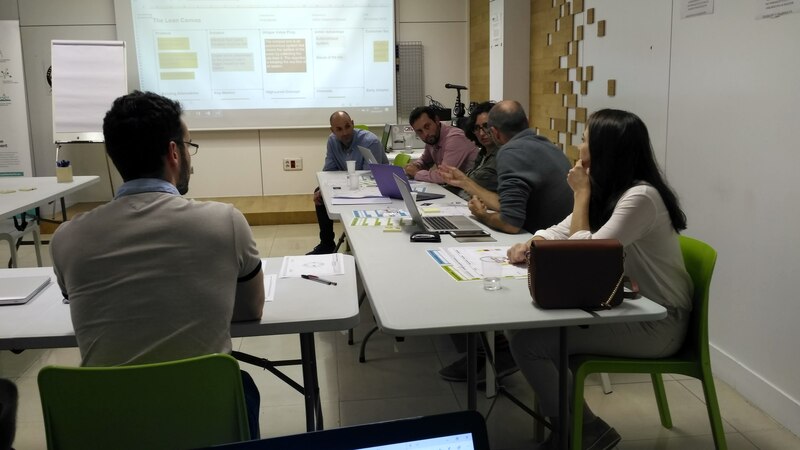 Some of the sections of the Business Model (Financial Planning, Marketing Plan) will be explained in detail during the second part of the Boot-Camp, during the workshops that will be also held at Paletexpress-Cajasiete between 26th-30th November 2018. All participants were introduced to Lean-Business Model Canvas as an important tool that distinguishes a start-up from competitors, and has a significant impact on profitability. Also, Oscar Villanueva suggested start-ups should get a fast Minimum Value Product (MVP) which he called ‘a pretotype’. He recommended individuals attending the workshop should seek 'to fail as fast and as cheap as you can’ in order to reach the market as soon as possible. In doing so, minimum time and money would be wasted. In the afternoon session, start-ups worked on the Business Model Canvas (BMC) that they had been previously worked on. All the participants presented the BMC and got feedback and suggestions to improve it by the workshop expert and the rest of participants. The second regional workshop in Las Palmas, GC will be focused on Lean Start-Up, and will be delivered by Aday Francisco Guerra. It will take place at the same venue on Tuesday 13th November 2018. Entrepreneurs/Start-ups interested can still apply to participate in ProtoAtlantic’s Accelerator Program.